A little over a week after reformist members of Parliament asked Iranian President Hassan Rouhani to attend to a spate of arrests ahead of the country’s upcoming elections, the president asked for the same thing from his interior minister. The arrests of several activists and journalists since January have not been confirmed or denied by any authority in the country. “It is necessary to guarantee the security of all the people… and prevent unlawful actions by institutions that have no right to interfere in the elections,” said Rouhani while addressing his cabinet on March 26. 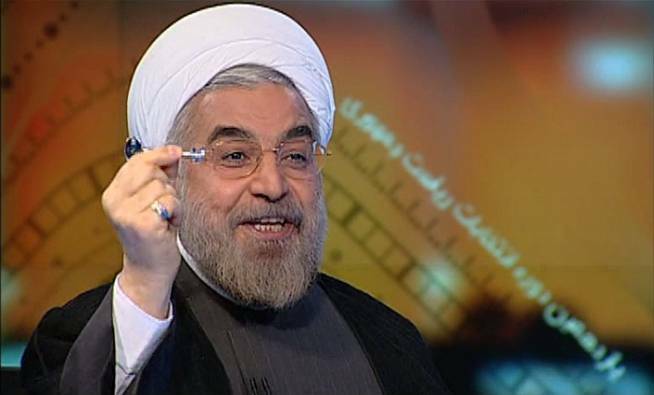 Iran will hold elections for president as well as for city and village councils on May 19. On March 17, four reformist members of Parliament demanded an explanation for the arrests from Rouhani in an open letter. “Foremost we expect your excellency to resolve this problem, but if no action is taken, we will invite the four ministers involved, namely the ministers of intelligence, justice, interior and Islamic guidance… to Parliament and pursue this matter until the truth becomes clear and the rights of the detainees are restored, even by impeaching the relevant ministers if need be,” said the letter, signed by Elias Hazrati, Abdolkarim Hosseinzadeh, Bahram Parsaie and Mohammad Ali Vakili. “It is not clear which agencies carried out the arrests, although in reality you (the president) are accountable whether it was the Intelligence Ministry or any other organization because there was no due process,” said the letter. Since December 26, 2016, more than 22 journalists and rights activists—nearly all of them believed to be supporters of Rouhani—have been arrested by security agents working either for the Intelligence Ministry, which answers to Rouhani, or the Islamic Revolutionary Guard Corps (IRGC), which answers only to Supreme Leader Ali Khamenei. Those arrested include journalists Tahereh Riahi, Zeinab Karimian, Ehsan Mazandarani, Morad Saghafi, Ramin Karimian, Mahsa Rojati, Mona Moafi and Mehrak Karimpour Andalibi, along with political activist Hengameh Shahidi and film producer Saleh Deldam. Between March 14-16, an unknown number of admins of 12 reformist-aligned Telegram channels were arrested by security forces, who deleted the channels’ content and changed their names. While she appeals that decision, Hashemi will also face another trial on April 16 on unspecified charges brought by the IRGC and Tehran Prosecutor Abbas Jafari Dowlatabadi.